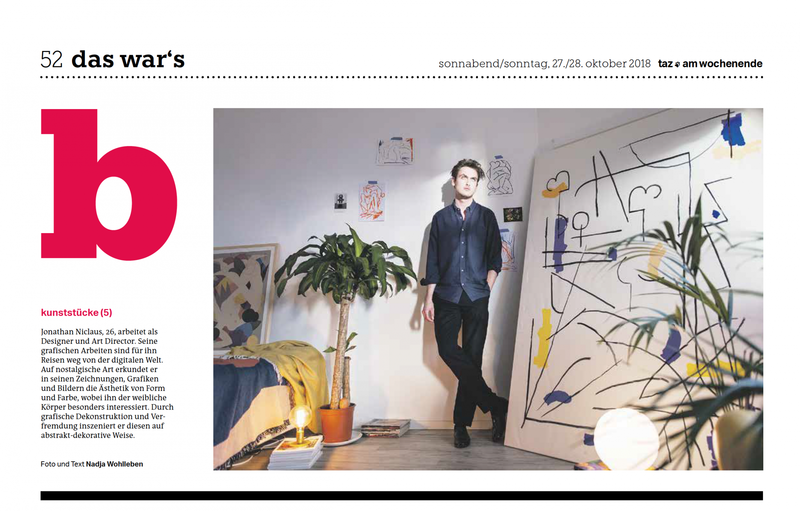 The final part of my 5 week photo column 'Kunststuecke' (5) for taz newspaper: Jonathan Niclaus, 26, works as Designer und Art Director in Berlin. For Niclaus, his graphic works are travels away from the digital world. His drawings, graphics, and paintings explore the aesthetics of form and color in a nostalgic way. He is especially interested in the female body. Through graphic deconstruction and alienation he stages it in an abstract, decorative way.